Rob Rice practices in the areas of labor and employment law, commercial litigation and intellectual property law. He is recognized in Chambers USA in Labor & Employment (Band 2), and maintains an AV Preeminent (5.0) rating with Martindale-Hubbell, which is the highest rating awarded to attorneys for professional competence and ethics. He has been selected for inclusion in Mountain States Super Lawyers (2011-2018) in the category of Employment Litigation: Defense. Rob is also nationally recognized by Best Lawyers in America in the areas of Commercial Litigation, Employment Law – Management, and Litigation – Labor & Employment and was recognized by Best Lawyers as “Lawyer of the Year” in Employment Law – Management for 2017. Rob has also been voted by his peers throughout the state as one of Utah’s “Legal Elite,” as published in Utah Business Magazine (2004-2019). Rob’s employment practice focuses exclusively on defending employers in all aspects of employment litigation and advising them on on-going personnel matters. He also regularly represents clients in complex commercial and intellectual property disputes at all stages of litigation, including proceedings for injunctive relief in state and federal court and in the United Kingdom. Prior to attending law school, Rob was a newspaper and television reporter in Salt Lake City and now advises clients regarding public relations matters. Rob graduated from the S.J. Quinney College of Law at the University of Utah in 1993 as a William H. Leary Scholar. 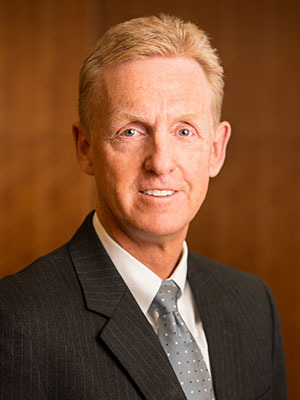 Utah attorneys elected Rob to serve as President of the Utah State Bar, 2016-2017. He also served as a Utah State Bar Commissioner for two consecutive terms, 2011-2015. In 2017, secured $2.8M, plus attorneys’ fees, jury verdict on client’s counterclaims in complex, two-week breach of license agreement, interference and trade secret trial. Hoffman v. Verizon Wireless, et al., 2012 U.S. Dist. LEXIS 114488 (August 13, 2012). Granted summary judgment in favor of Ray Quinney & Nebeker’s client on plaintiff’s claims for violation of Title VII, the Americans with Disabilities Act, the Family and Medical Leave Act and claim for slander. Franke v. ARUP Laboratories, 2010 WL 3245179 (10th Cir. 2010). Affirmed summary judgment in favor of Ray Quinney & Nebeker’s client on plaintiff’s claims for violation of Title VII, ADEA and Fourteenth Amendment due process rights. Patmos Energy, LLC v. SST Energy Corporation, 2:08cv00166 (Utah Dec. 29, 2009). Obtained summary judgment in favor of Ray Quinney & Nebeker’s client on Patmos’ $6.4 million claim. Later, obtained $1.1 million judgment against Patmos. MarMc Transportation, Inc. v. Patmos Energy, LLC, 2009 WL 1066280 (D. Utah 2009). Obtained summary judgment in favor of Ray Quinney & Nebeker’s client for all amounts owing under contract, including attorney’s fees. Smith v. Nu Skin Enterprises, Inc., 2008 WL 4850526 (D. Utah 2008). Obtained summary judgment for Ray Quinney & Nebeker’s client on plaintiff’s Americans with Disabilities Act and defamation claims. Fullwiley v. Union Pacific Corp., et al., 273 Fed. Appx. 710 (10th Cir. 2008). Affirmed summary judgment dismissing plaintiff’s racial harassment claim against Ray Quinney & Nebeker’s client. Godwin v. Southwest Research Institute, 2007 WL 1168851 (10th Cir. 2007). Affirmed summary judgment in favor of Ray Quinney & Nebeker’s client on plaintiff’s age discrimination and ERISA claims. Keirnan v. Utah Transit Authority, 339 F.3d 1217 (10th Cir. 2003). Affirmed summary judgment in favor of Ray Quinney & Nebeker’s client on claim under Article II of the Americans with Disabilities Act.